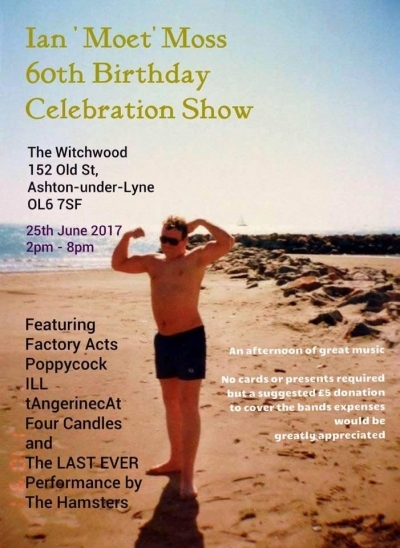 We (Factory Acts) we're thrilled to play the legendary Ian ' Moet' Moss's 60th birthday at The Witchwood, Ashton. Moet has always been supportive of local bands and we had the pleasure of playing with him in one of his numerous bands on many occasions. Special afternoon gig with movers and shakers from Manchesters music community makes through four decades and more.